First Class Hair Braiding Salon LLC is your local professional hair braiding expert in Quincy, MA. Call Now For Free Hair Consultations! Your stunning hair extensions will definitely turn heads courtesy of First Class Hair Braiding Salon LLC. Men and women have been braiding hair for thousands of years. Back then, it was a form of symbolism, communication, and adornment. Hair braiding has evolved from simple three-strand wefts to more intricate and complex designs. 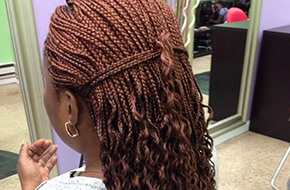 First Class Hair Braiding Salon LLC has perfected the skill of hair braiding into an art. Our greatest pride is in our repeat clientele who validate our expertise every time they book another appointment. Each style is customizable to suit your facial structure, style preference, and your budget. Gone are the days of having to wait for hours on end for your braids to be complete. First Class Hair Braiding Salon LLC has a team of specialists who are quick with their hands and will have you in and out in no time. 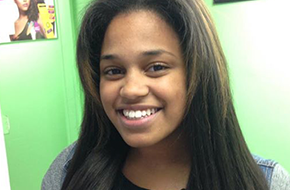 We also offer residents of Quincy, MA hair weaving and hair extension services for that perfect mane every time. Our braids have a smoother finish, last longer, and most importantly, look fabulous. 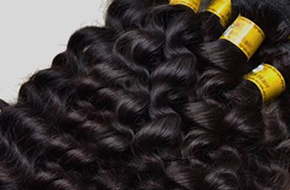 We employ a team of experienced hair braiders and weavers who will wow you with their technique. We know that braided hair can sometimes suffer from damage caused by pulling and lead to hair loss or alopecia. We eliminate this problem by conditioning your hair each time you braid and making sure that your braids, weaves, and extensions are not too tightly affixed on your head. First Class Hair Braiding Salon LLC will have you looking fabulous. We even offer a range of hair accessories. Call us today for your appointment.